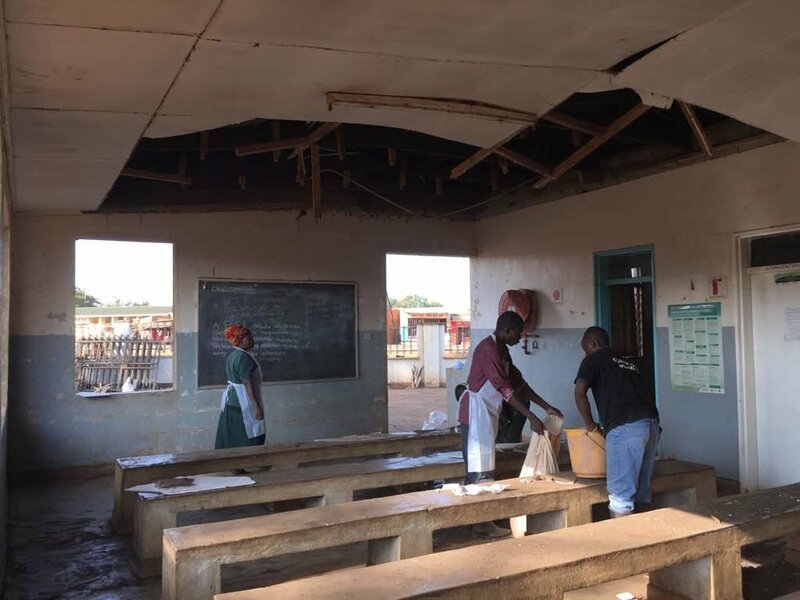 In the past two weeks, Malawi has been hit with flash floods as a result from Tropical Cyclone Idai. There were two waves of flash floods due to the cyclone leaving many casualties in its’ wake. All WAM employees are safe and uninjured. Some of our Malawian staff has suffered house and property damages that were able to be fixed. Most of the impact was in the southern region, where houses were washed away, roads and bridges collapsed and lives were lost. The effects of the flooding in Kabudula community were minimal compared to other regions and communities that were devastated. As with any unforeseen circumstance, even minor incidences such as this cause families to suffer because they are already struggling to survive financially, many times depending on one person’s income to support extended family. Similarly, when someone falls sick in a family and needs surgery, it takes everything the family has just to get them to the hospital for help. Even if they do manage to get there, they often find the public hospital is under-resourced. Private hospitals have more resources but are unaffordable for village residents. This is where our organization comes in, to support the public hospital to be better resourced to handle day to day activities, provide care to hard to reach patients and support when unforeseen events occur. The cyclone has affected Mozambique and Zimbabwe also, with a death toll climbing close to 1,000. Within our Watsi program at Nkhoma Private Hospital, we often fund Mozambican’s surgeries who seek healthcare they cannot find near their homes. News updates of Cyclone Idai can be found via all major news outlets. Our team of three (our two Fellows, Carolyn and Angela and a Research Assistant, Gabriel) visited the last three rural health centers yesterday. The intention was for the entire team to visit all of them together, but due to rainy season, hazardous road conditions and lack of a 4x4 vehicle the plans changed. The road to Nambuma Health Center. We set off from Lilongwe on the way to Nambuma Rural Health Center. The health centers we have visited are within about 40 KM in all directions from Kabudula Community Hospital. The road to Kabudula from Lilongwe is all paved so it is never an issue for us to get there. All the rural health centers are not off paved roads so to get there we must take dirt roads/paths. Currently it is the middle of the rainy season, so the conditions on these paths are sometimes impassable. Nambuma Health Center is about 40 KM on a dirt path off the main road. At first, it was not a big deal, we were doing fine, but the road kept getting progressively worse. After for what felt like 30 minutes, we did not see any town or health center in sight. We looked at the odometer and we had only gone 5 KM! We were concerned we would get stuck and turned back to find the main road and make a new plan. We now needed to split up to make all our appointments with the health centers. We went to Kabudula to leave our car and organize rides on motorcycle kabazas (taxis). Angela and I went to Chilobwe Health Center together. Tobacco leaves drying in the town we stopped in to refuel. From Kabudula, Chilobwe is about 20 KM which is SUPPOSED to take about 45 minutes, but the ride there took about 1.5 hours. Angela’s kabaza ran out of fuel about a quarter into the ride, so we had to stop off in a small village to find fuel. The village we stopped in is technically still Kabudula but a suburb or region of it. We just made friends and chatted and waited for her driver to use a borrowed bike, ride to the neighboring suburb and buy fuel. We were back on the road after 20 minutes and about 10 minutes later my kabaza ran out of fuel! So, Angela’s driver had to go back to the village we just came from to buy more fuel for my driver. We got off and walked a little bit and found some shade while we waited. Finally, we were all back on the road. The conditions were concerning but easily passable on a motorcycle. We finally made it to Chilobwe Health Center and met the staff there. It was a great visit, we were energized by the dedication and hard work of the team. They were so welcoming. We found out that clients who seek treatment come from a radius of up to 25 KM from Chilobwe, and there is only one clinical officer for this area. This clinical officer has worked closely with his community to set up village clinics throughout the catchment area that are ran by Health Surveillance Assistants where people can pick up medication when they are not able to reach the health center. Chilobwe Health Center does not have a maternity ward, so they cannot have deliveries there. Pregnant women from this area have to organize their own transportation to Kabudula to give birth. We took a tour of the health center but had to cut the meeting short because we could tell the rain was coming soon. We can tell from the temperature change (it gets really hot and humid) faster than we can tell from the sky that the rain is coming. Our drivers could tell too so we booked it back to Kabudula. I bounced around like a Ping-Pong ball on the back of the motorcycle over the uneven dirt paths dodging other bikes, animals and people for 45 minutes. I couldn’t even move that night I was so sore. All in all, it was a great experience. It highlights the fact that we transportation from rural villages that seek treatment at Kabudula and even the rural health centers is extremely difficult. We had the resources to use kabazas, so it was ‘easy’ for us to get there. This can be almost impossible for many people who live in these areas. And this is just to get to Kabudula. If someone presents with a complicated case, needs to be seen by a medical doctor in Lilongwe and if they are able to afford it, the journey could take an entire day. On top of this, many diseases are worse during the rainy season (mosquitos are more prevalent, which means more malaria, waterborne diseases are also more common) AND almost everyone is subsistence farmers and are waiting for the harvest to come after this season. We hope our work and experiences can highlight the difficulties many Malawians face in seeking healthcare. Rural Health Centers (RHCs) are the most remote location and bottommost tier for healthcare in Malawi. They are often staffed by one Clinical Officer, a nurse or midwife and HSAs (Health Surveillance Assistants). RHCs do not admit patients. RHCs do not have the capacity for surgical intervention and focus mainly on preventative care, primary care and obstetric care (deliveries). The way the healthcare system works here is if there is a complicated case that presents at an RHC, they are referred to a Community Hospital (like Kabudula Community Hospital!). Community Hospitals then refer to District Hospitals who refer to Regional Hospitals. Malembo Rural Health Center (brick building on left) and cold storage pharmacy (white structure on right). Kabudula Community Hospital has 8 RHCs that refer to it plus its own community that uses it directly. Its catchment area (area surrounding the hospital that includes RHCs that refer to it and communities where their patients come from) is over 350,000 people. Yesterday, the GHFs went to Malembo Rural Health Center, one of the 8 that refer to Kabudula Community Hospital. We asked our friends at Kabudula for the directions. We were told it was about 35 KM past Kabudula on the tar road, easy enough right? There are no road signs so once we passed Kabudula we reset the odometer on the dash and started paying attention for a health center. We had to ask for directions 4 times. I wrote the directions down for future use and they are as follows: 28 KM past Kabudula turn right on dirt road (pay attention once the odometer’s at 26KM! ), (road might not be passable during rain, and be mindful of the crops on either side) turn right at first t-junction and pass through market place (market place identified by minibuses waiting to load to go to town, and about 3-5 corner shops), turn right at carpenter’s stall (blue stall on right past marketplace) and health center is adjacent to soccer pitch. We had a wonderful visit with the Clinical Officer and other staff in which we talked about the services they provide and gathered some information for our needs assessment. When we arrived, both of the waiting rooms were overflowing waiting to see the Clinical Officer but the staff was making good use of everyone’s time by conducting community trainings about cholera with the waiting patients (which is an issue more now during rainy season). There was an overall sense of calm and peace at this health center, even though there was as many as 75-100 people waiting to be seen. The hospital staff was so warm and friendly, and the health center was well kept. We really enjoyed our visit with them! By focusing our interventions at Kabudula Community Hospital AND the catchment area, we are offloading the burden of cases that Kabudula must see and hoping to do our part to lessen the burden all the way up the healthcare chain. We are looking forward to visiting the other Rural Health Centers in the coming weeks! When someone falls sick in an African village, the family must find money for transportation to the hospital. They may reach out to other family members or sell a goat or some chickens to find these funds. Once the patient leaves home, he/she may begin by walking several kilometers to a dirt road. If the patient cannot walk, he/she may be carried on the back of a bicycle. Upon reaching the dirt road, another option for transportation may include riding on the back of a motorcycle to the main road. At the main road, the patient may be able to board a minibus for the final part of the journey to the hospital. A view from Kabudula community. At the hospital, there is usually a long line of patients waiting to be seen, having started lining up since the early morning. These people have all been awake since before sunrise, having had to fetch water and start a fire for morning baths before leaving home. Whenever villagers travel anywhere, such as to the hospital, they bathe meticulously and dress their very best. No one seems to mind waiting for several hours to see the doctor – children play together and families chat in the waiting area as the day proceeds. No one comes to the hospital alone – every patient is escorted by at least one or several family members for support, and mothers generally carry small children on their backs everywhere they go, so it becomes a family event. The extra support is necessary, however, because if the patient is admitted to the hospital for an overnight stay, the accompanying family member is responsible for caring for most of the person’s daily needs. This presents another issue of lodging for family members – it is too far for them to travel back and forth to the hospital each day, and the hospital only has space for patients. So, family members set up camp just outside the main area of the hospital, where you will find many people cooking, washing dishes, washing clothes, and generally camping out for whatever length of time their relative remains a patient in the hospital. Since individual records are not kept on file at hospitals/clinics, patients carry a “health passport” book with them whenever they go to the hospital. This is a small paper booklet about the same size and shape as a regular passport. Every patient must have one, and this is where the doctor records notes and writes prescriptions. A ward in Kabudula Community Hospital. Most of the common illnesses presented at Kabudula Community Hospital are readily treatable by the clinicians on staff and the availability of essential medicines from partners like Access Health Africa and World Altering Medicine. However, patients with more serious conditions or complications are referred to hospitals in the capital city, which presents further issues regarding travel and transportation logistics. In addition, these referral hospitals are often over-crowded and under-resourced, making it difficult for everyone to access timely and quality care. We are working together with staff and partners at Kabudula Community Hospital to increase its capacity so that more patients can access the care they need. Thanks for supporting us to make a difference in this community! Working as a Global Health Fellow with Access Health Africa (AHA) and World Altering Medicine (WAM) has allowed me a new perspective of what a non-governmental organization (NGO) can do and provide in the global health field. Compared to aid organizations that most people are familiar with (Unicef, USAID, Partners in Health) AHA and WAM are smaller, but no less capable of providing quality services. I came to this realization recently while in a meeting with these implementing partners who are all working to address the issue of cervical cancer throughout the country. Malawi has the highest rate of cervical cancer in the world (75 per 100,000). Cervical cancer is entirely preventable but about 63% of women who develop cervical cancer in Malawi die from it. “Screen and Treat” is a proven intervention to diagnose cervical cancer and treat it at an early stage. Currently, the Malawian government has started to roll out a program to provide screen and treat equipment and training to all rural health centers in the country. Many large organizations are helping the government roll out this program country-wide. Until screen and treat becomes widespread allowing cervical cancers to be treated at an earlier stage, there is going to be a great number of women who need advance treatments including surgical intervention (radical hysterectomy). There is currently a backlog of women in the central region of Malawi (where we mainly operate) that need radical hysterectomy. We were first made aware of this backlog through our partners at Nkhoma Private Hospital, where we run the Watsi program that funds surgeries. AHA and WAM are interested in addressing the issue of cervical cancer, so we set out to explore potential options of maybe helping rid of the backlog. Through the process of making connections with government officials and other organizations who are working to address this issue in Malawi, we were invited to partake in a task-force that consists of many large organizations and the Ministry of Health to gain a better understanding of the work that is already being done here. The first task-force meeting that we attended, I was completely intimidated by the names and organizations around the table to the point where I didn’t think we even belonged. The information gathered was invaluable and when the time came to introduce ourselves, we simply stated who we were and that we were interested in learning more about the work that was being done already. Immediately after, we were told that there are many organizations (with large budgets and teams) that are working on up-scaling the screen and treat option and there is a great need for implementing partners to help with advanced treatments (like radical hysterectomy). I couldn’t believe it, this is something we have already developed a proposal to do, help rid the surgical backlog! Here we were at this meeting, the whole time I was thinking, “there is no way that our smaller organizations can possibly fill any gap that is not already covered by large-scale implementing partners,” to be proven completely wrong. Our organizations CAN fill the gap and so much more. This experience offered me the opportunity to reflect and really think about the strengths of our organizations. In this example, we have expertise and interest in an area that is not covered by other large organizations (access to surgery). We also have taken the time to build partnerships with the communities we serve and focus on providing access to health in conjunction with community members and clinicians there. Being a small organization offers us the opportunity to have more personal relationships with other organizations (such as Watsi) through which we can all work together to provide services because they are able to put a face to the organization and trust us to get the job done. These personal relationships also make our current programs more successful because we have boots on the ground working hand in hand with our Malawian community partners. We may be ‘small’ but our reach is far. A lively community hospital serving a large rural population, Kabudula is the hub for health services in this area. While the hospital does not charge fees, patients often struggle to pay for transportation to reach there, and family members face challenges regarding lodging and food. We help stock the hospital’s pharmacy with medication when the system experiences shortages, so that patients receive the care the need no matter what. The location of the proposed new Trauma Room at Kabudula Community Hospital. According to a community member interview, the hospital is mostly adequate in the basic services it provides, and most of the departments are equipped and staffed, with just a few areas for improvement. X-ray equipment is available, but there is not radiographer on staff. Surgical equipment is also available, and it is utilized for C-section deliveries, but not for other surgical procedures. Cervical cancer screening is promoted, but treatment is not available on location. We are conducting a needs assessment of the hospital to better inform future programming and how partners can bring resources together to address these gaps. Improving healthcare at the level of the community hospital is very important in this area because patients who are referred elsewhere may never get helped due to over-crowding at the final referral hospitals or transportation challenges in getting there. The cold storage pharmacy unit at Kabudula Community Hospital. We are currently in the planning process for building a new emergency department at Kabudula hospital. The current “trauma room” is too small to even fit a bed or stretcher inside! The need for emergency services has increased with the improvement of the tarmac road through Kabudula, bringing more vehicle accidents. We have chosen a spacious building site just inside the gate of the hospital campus, and we are modeling the design from a recent addition to the Mangochi hospital for the same purpose. Staff and patients alike look forward to our annual “surgical camps” in conjunction with Access Health Africa, where visiting surgeons come and perform minor surgeries on needy patients while training local clinicians on these procedures. We hope to continue improving the partnership with Kabudula hospital through ongoing programming with the assistance of the Global Health Fellows on the ground year-round. Please continue to support these promising initiatives! My co-fellow, Angela, has been living in Malawi for almost 3 years and I have now been here for 4 months. I have been so grateful to Angela that she has taken the time to show me around and share with me some of her favorite spots in town! When we have free time and some extra pocket change, we like to spend the afternoon shopping and having lunch. GHF Angela crossing the footbridge in the Lilongwe Market. Today I wanted to have a new dress made out of the local fabric, chitenje. So we started off by going to the largest market in the country, which is within walking distance of our office. The market is so big and has different sections for clothes, electronics, produce and other businesses on both sides of a river. Usually we can quickly run there after a day at work for produce, but to shop for fabric we have to cross this bridge which spans the Lilongwe River. To cross the bridge it costs 50 Kwacha (~7 cents) and this money pays for continued maintenance of three foot bridges. Crossing the bridge, you’ll often see workers in the river washing clothes and shoes to sell second-hand. We had to weave through many stalls (Angela said “just keep turning left and right until you find a clearing”) to find a small alleyway where chitenje is sold. These can be used as wrap skirts, which we often wear when we work in Kabudula or Nkhoma or used to make dresses. Two meters of chitenje (enough for a wrap skirt or short dress) costs about 3000-4000 Kwacha ($4-5) depending on the quality. A chitenje shop in the market! After picking out the fabric, we went to the tailor who is conveniently located tucked behind the produce section of the market. I just decided to have a short dress made and also have the tailor alter another dress I had made for work. He will have both of these things finished in 3 days time. Depending on the complexity of the dress or outfit, prices can vary and are always negotiable. I needed to buy some produce from the vegetable market for dinner. I got onions, green beans, tomatoes, potatoes and plums (just now in season and unbelievably delicious!) for 2500 Kwacha (~$3.50). I often buy avocados, bananas, apples, sweet potatoes, peppers, zucchini, cucumber, oranges, mangoes, plantains, lettuce and other local greens, pineapple and watermelon. Prices are negotiable and depend on the seasonality of the produce I’m buying but there is so much available. Shopping in the produce market in Lilongwe. One of mine and Angela’s favorite places for a nice lunch is the Lilongwe Wildlife Sanctuary which also has an amazing cafe. At the conservatory you can take a tour and see the animals (monkeys, crocodiles, owls, snakes and others depending on what they may be rehabilitating) and also walk along their nature trails. The cafe often hosts fundraising events and is a nice place to enjoy a working afternoon over coffee or lunch. I am a member of a book club and we have our meetings here! These are some of the typical activities Angela and I both enjoy to do together and alone and we are able to get a taste of Malawian culture and Lilongwe culture in the meantime. Lilongwe is a robust city with so much to do, this is only a taste. Monday and Tuesday (Lilongwe): The GHFs usually work in the office on Mondays and Tuesdays, organizing their tasks for the week and attending meetings. Currently they are involved with many on-going projects and are working towards developing new ones, building partnerships and expanding the scope and reach of World Altering Medicine and their partner, Access Health Africa. Recently they are working closely with Kabudula Community Hospital, the Lilongwe District Health Office and the Ministry of Health to conduct a needs assessment of the Kabudula Hospital to determine the direction of future programs. This project will span many months and takes a lot of community outreach. Planning alone for the needs assessment has taken a few weeks and has included multiple meetings with their community partners at the hospital, Ministry and District Health Office officials, who have granted their full support to continue. The beautiful drive to Nkhoma Hospital where we operate the Watsi program! The GHFs have also started to explore the possibility of addressing the issue of cervical cancer here in Malawi. Cervical cancer is the leading cause of female cancer in Malawi. In the central region on Malawi, there is a backlog of women who require radical hysterectomy via surgery, a potential intervention point for the organizations. AHA and WAM are working to expand their partnerships in Malawi to help address this issue and having boots on the ground is making this possible! 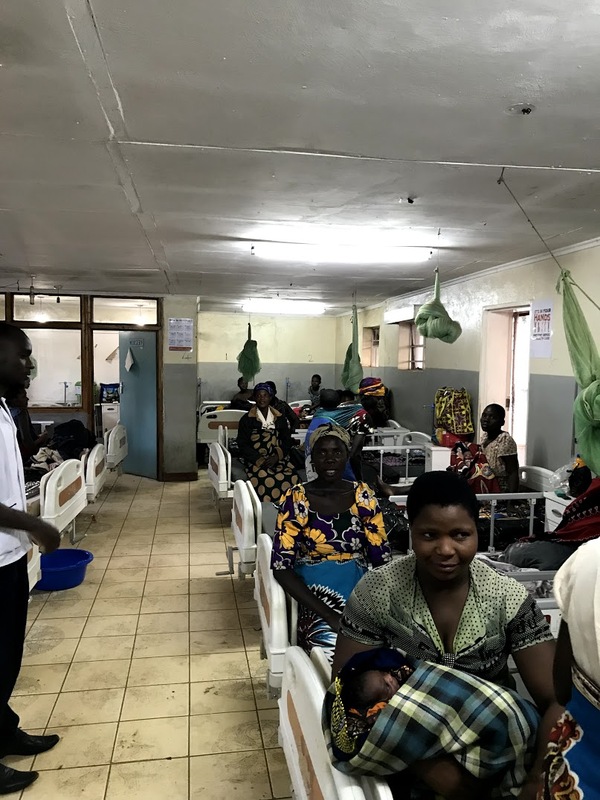 Wednesday (Nkhoma): Every Wednesday, the GHFs travel to Nkhoma Hospital from Lilongwe (about an hour drive) to meet, interview and follow-up with patients who are funded through a program called Watsi, and organized on the ground by the GHFs. Watsi is a crowdfunding platform that provides fully funded surgeries to economically needy patients. It’s a great opportunity for GHFs to meet the patients we are helping and see their reaction to finding out the economic burden of a life-altering surgery is lifted from their shoulders. The GHFs are responsible for submitting the patients to the online Watsi platform. Through this service, we are able to provide $7,000 a surgery a month! Thursday (Kabudula): On Thursdays the GHFs travel to Kabudula, a community where they have many ongoing projects and are focusing their needs assessment. In the morning, they usually meet with hospital staff to talk about the needs assessment. They also will check in with the pharmacy tech, whom they work closely with to provide essential medicines to the hospital on a monthly basis. The hospital is in need of many medications, including antibiotics, anti-inflammatories and especially pediatric forms of common medications. They have also started a proposal to build a Trauma Center at Kabudula Hospital. Currently, the hospital only has the space to house their entire trauma unit in a small room, not large enough to fit a patient bed. Hopefully, we will be able to provide a Trauma Unit that can house all of the equipment, patients and staff that is necessary at Kabudula Hospital. After all tasks are completed at the hospital, the GHFs head to the Kabudula Secondary School to meet with their community partner there, a teacher at the school. With her, we are able to provide 50 scholarships to Secondary School students every year through our KEEP program. Students are chosen based on economic need and commitment to their education. They also attend the Girls Empowerment group organized at the school every Thursday that includes over 100 girls in secondary school and covers topics such as career guidance, relationships, reproductive health and hygiene and peer counseling. Friday (Lilongwe): On Fridays, the GHFs are usually busy wrapping up their tasks for the week and often includes things like purchasing the essential medicines to be delivered, research for the needs assessment, cervical cancer issue and trauma proposal, reaching out to potential partner individuals and organizations to expand the organization's scope. Sometimes, meetings are held on Fridays with partners in Lilongwe, including the Ministry of Health and the District Health Office. Saturday (Kabudula): Once or twice a month the GHFs spend Saturday in Kabudula to work with community members who are unable to meet during the week. Recently, they are gone on home visits to help choose KEEP scholarship students and hosted a meeting with all of the KEEP students and parents. Keep on the lookout for more detailed updates of the programs that Access Health Africa and World Altering Medicine are running!